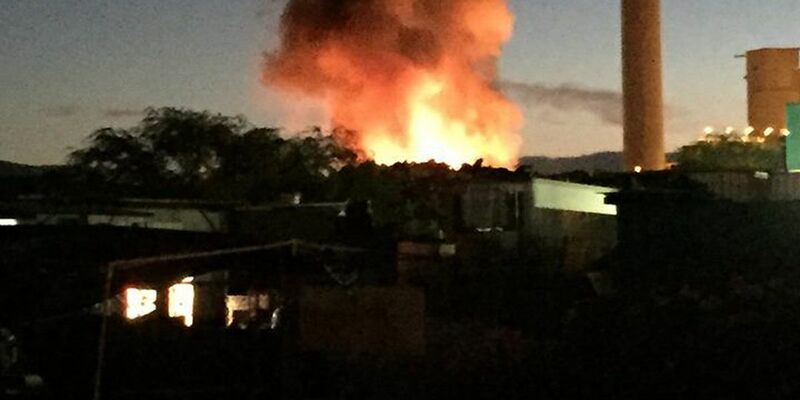 The Honolulu fire Department has ceased operations with monitoring the fire at the Kapolei Island Recycling center. At 9:24 p.m. Sunday night, HFD handed over monitoring operations to the recycling center. Several small portions are still smoldering. Kapolei Island Recycling will use cranes and heavy equipment to remove the smoldering portions of the fire and douse them with water. Honolulu firefighters responded to a fire at the Island Recycling center in Kapolei Saturday morning. Authorities arrived at the Island Recycling site on Kaomi Loop at approximately 5 a.m. Saturday to find a large pile of scrap metal on fire. Fire Captain David Jenkins said the pile is about 100 feet by 400 feet and approximately 40 feet high. He said the fire is contained to that pile only and it isn't threatening any nearby structures or people because firefighters have it surrounded. However, Jenkins said putting out the flames could take a while because of the nature of the fire and heavy equipment is needed to douse the flames. HFD crews are still on scene. Officials say the cause is undetermined at this time.